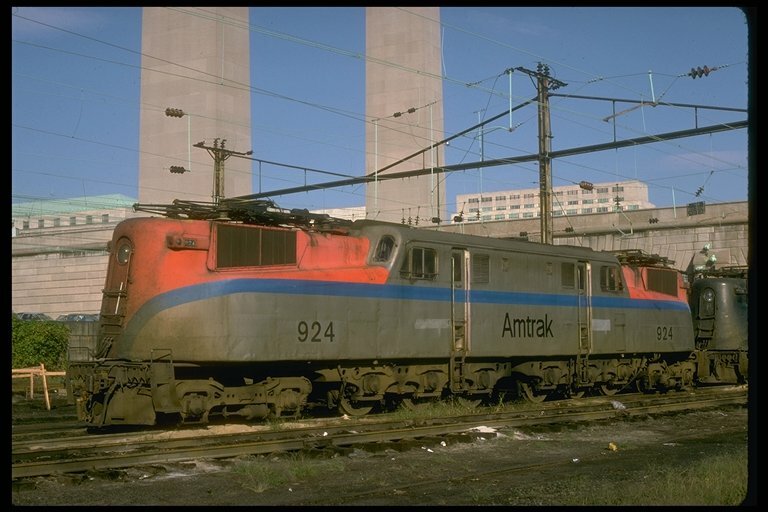 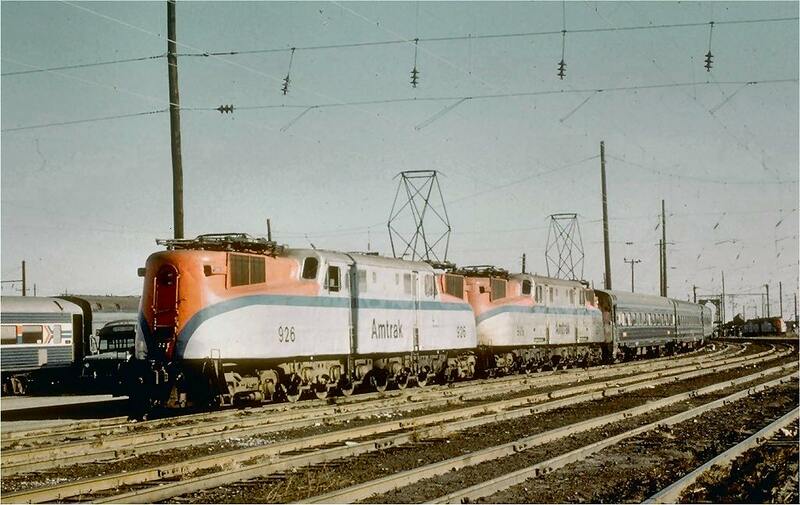 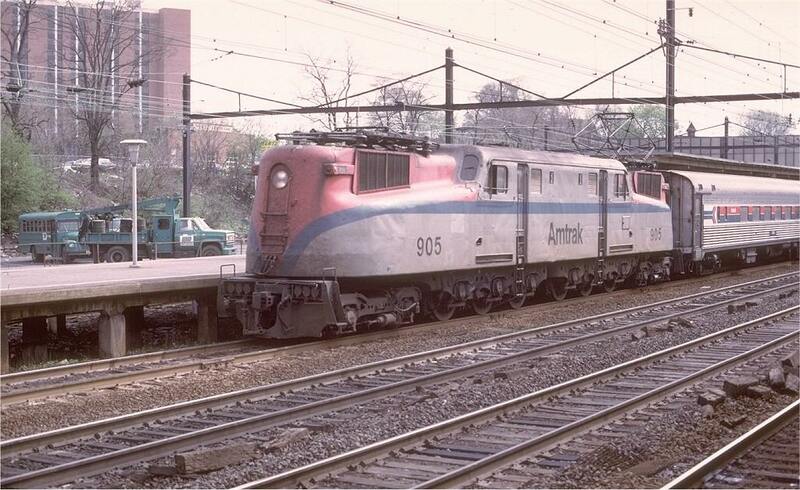 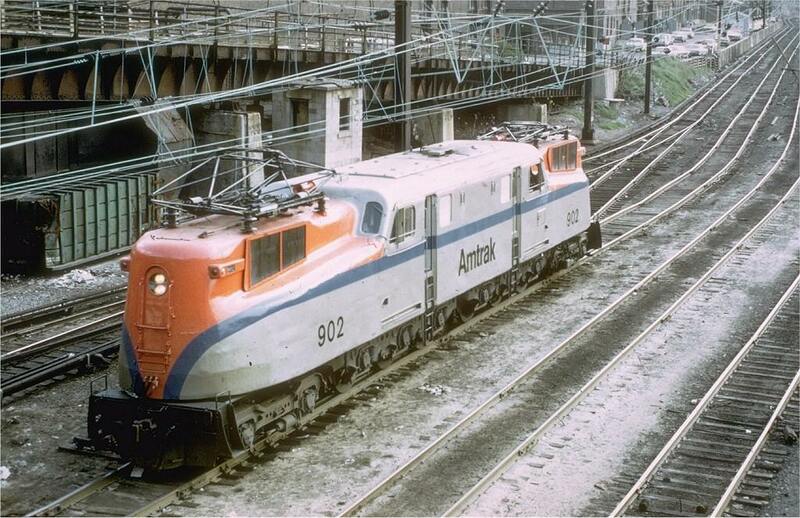 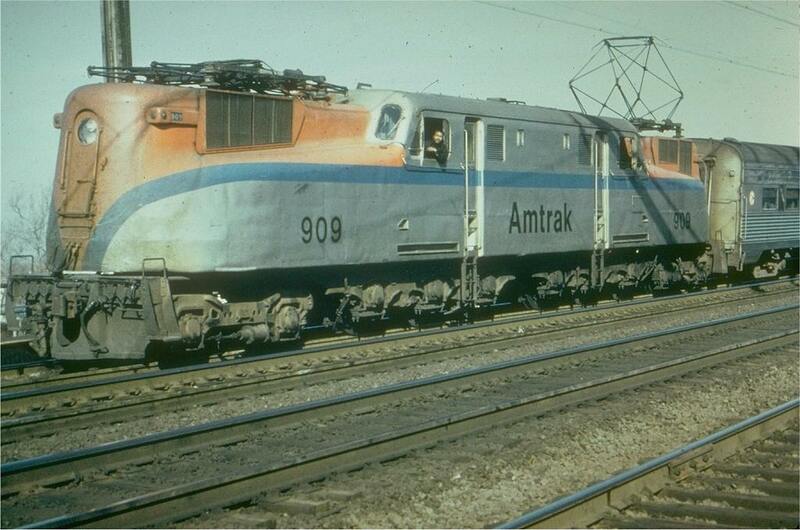 Amtrak took seven of the stately Raymond Loewy styled GG1s and painted them Platinum Mist to which it added an eight inch blue stripe (reminiscent of the 1955 yellow stripe), black numbers and a black Helvetica styled "Amtrak". 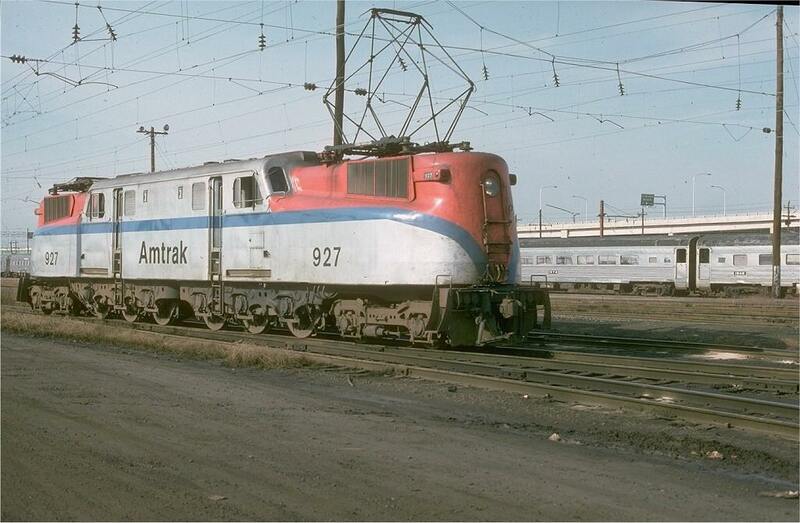 As if this was not gaudy enough both of the hoods were painted clown nose red. 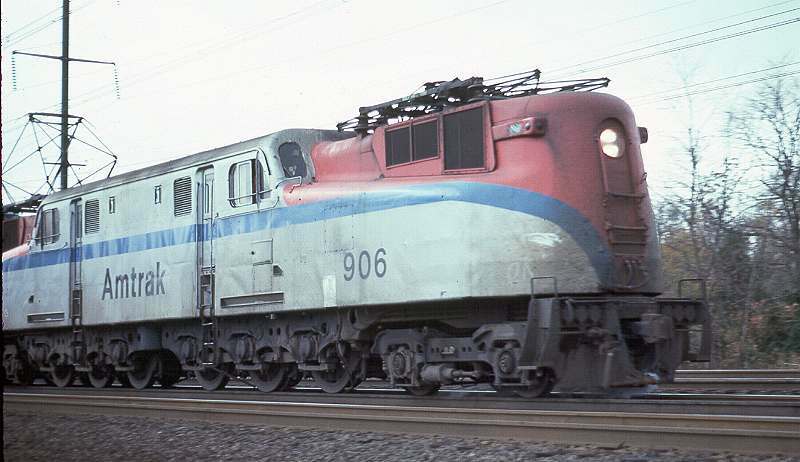 The seven GG1s painted in this manner were numbers: 902, 905, 906, 909, 924, 926, and 927.